The Paralympics is a major international multi-sport event involving athletes with a range of disabilities, including impaired muscle power (e.g. paraplegia and quadriplegia, muscular dystrophy, post-polio syndrome, spina bifida), impaired passive range of movement, limb deficiency (e.g. amputation or dysmelia), leg length difference, short stature, hypertonia, ataxia, athetosis, vision impairment and intellectual impairment. There are Winter and Summer Paralympic Games, which since the 1988 Summer Games in Seoul, South Korea, are held almost immediately following the respective Olympic Games. All Paralympic Games are governed by the International Paralympic Committee (IPC). The first organized athletic day for disabled athletes that coincided with the Olympic Games took place on the day of the opening of the 1948 Summer Olympics in London, United Kingdom. Jewish-German born Dr. Ludwig Guttmann of Stoke Mandeville Hospital, who had been helped to flee Nazi Germany by the Council for Assisting Refugee Academics (CARA) in 1939, hosted a sports competition for British World War II veteran patients with spinal cord injuries. The first games were called the 1948 International Wheelchair Games, and were intended to coincide with the 1948 Olympics. Dr. Guttman's aim was to create an elite sports competition for people with disabilities that would be equivalent to the Olympic Games. The games were held again at the same location in 1952, and Dutch and Israeli veterans took part alongside the British, making it the first international competition of its own kind. These early competitions, also known as the Stoke Mandeville Games, have been described as the precursors of the Paralympic Games. There have been several milestones in the Paralympic movement. The first official Paralympic Games, no longer open solely to war veterans, was held in Rome in 1960. 400 athletes from 23 countries competed at the 1960 Games. Since 1960, the Paralympic Games have taken place in the same year as the Olympic Games. The Games were initially open only to athletes in wheelchairs; at the 1976 Summer Games, athletes with different disabilities were included for the first time at a Summer Paralympics. With the inclusion of more disability classifications the 1976 Summer Games expanded to 1,600 athletes from 40 countries. The 1988 Summer Paralympics in Seoul was another milestone for the Paralympic movement. It was in Seoul that the Paralympic Summer Games were held directly after the Olympic Summer Games, in the same host city, and using the same facilities. This set a precedent that was followed in 1992, 1996 and 2000. It was eventually formalized in an agreement between the International Paralympic Committee (IPC) and the International Olympic Committee (IOC) in 2001, and was extended through 2020. On March 10, 2018, the two committees further extended their contract to 2032. The 1992 Winter Paralympics were the first Winter Games to use the same facilities as the Winter Olympics. First Paralympic symbol (1988–1994) used five pa. Although the name was originally coined as a portmanteau combining "paraplegic" (due to its origins as games for people with spinal injuries) and "Olympic", the inclusion of other disability groups meant that this was no longer considered very accurate. The present formal explanation for the name is that it derives from the Greek preposition παρά, pará ("beside" or "alongside") and thus refers to a competition held in parallel with the Olympic Games. The Summer Games of 1988 held in Seoul was the first time the term "Paralympic" came into official use. “Spirit in Motion” is the motto for the Paralympic movement. The symbol for the Paralympics contains three colours, red, blue, and green, which are the colours most widely represented in the flags of nations. The colours are each in the shape of an Agito (which is Latin for "I move / I shake / I stir"), which is the name given to an asymmetrical crescent specially designed for the Paralympic movement. The three Agitos circle a central point, which is a symbol for the athletes congregating from all points of the globe. The motto and symbol of the IPC were changed in 2003 to their current versions. The change was intended to convey the idea that Paralympians have a spirit of competition and that the IPC as an organization realizes its potential and is moving forward to achieve it. The vision of the IPC is, "To enable Paralympic athletes to achieve sporting excellence and to inspire and excite the world." The Paralympic anthem is "Hymne de l'Avenir" or "Anthem of the Future". It was composed by Thierry Darnis and adopted as the official anthem in March 1996. In 2001 the International Olympic Committee (IOC) and the International Paralympic Committee (IPC) signed an agreement which guaranteed that host cities would be contracted to manage both the Olympic and Paralympic Games. Initially agreed to remain in effect until the 2012 Summer Games, this has since been extended, currently[update] encompassing all Summer and Winter games up until the 2020 Summer Games. Even beyond this, all Summer and Winter host cities currently announced are preparing pairs of Olympic and Paralympics Games. This was further confirmed when in March 10, 2018, the IOC and the IPC agreed to further extend the contract to the 2032 Summer Games. Olena Iurkovska of Ukraine competing on cross-country sit-skis at the 2010 Winter Paralympics. Some sports are only held for certain disability types. For example, goalball is only for visually impaired athletes. The Paralympics recognizes three different grades of visual impairment, consequently all competitors in goalball must wear a visor or "black out mask" so that athletes with less visual impairment will not have an advantage. Other sports, like athletics, are open to athletes with a wide variety of impairments. In athletics, participants are broken down into a range of classes based on the disability they have and then they are placed in a classification within that range based on their level of impairment. For example: classes 11–13 are for visually impaired athletes, which class they are in depends on their level of visual impairment. There are also team competitions such as wheelchair rugby. Members of the team are each given a point value based on their activity limitation. A lower score indicates a more severe activity limitation than a higher score. A team cannot have more than a certain maximum total of points on the field of play at the same time to ensure equal competition. For example, in wheelchair rugby, the four players' combined disability number must total no more than eight points. Having sent samples for forensic analysis, the International Paralympic Committee (IPC) found evidence that the prevalent doping by Russian athletes was in operation at the 2014 Winter Paralympics in Sochi. On 7 August 2016, the IPC's Governing Board voted unanimously to ban the entire Russian team from the 2016 Summer Paralympics, citing the Russian Paralympic Committee's inability to enforce the IPC's Anti-Doping Code and the World Anti-Doping Code which is "a fundamental constitutional requirement". IPC President Sir Philip Craven stated that the Russian government had "catastrophically failed its Para athletes". IPC Athletes' Council Chairperson Todd Nicholson said that Russia had used athletes as "pawns" in order to "show global prowess". ^ Dehghansai, Nima; Lemez, Srdjan; Wattie, Nick; Baker, Joseph (January 2017). "A Systematic Review of Influences on Development of Athletes With Disabilities". Adapted Physical Activity Quarterly. 34 (1): 72–90. doi:10.1123/APAQ.2016-0030. PMID 28218871. ^ "Classification". Official website of the Paralympic Movement. Archived from the original on 2014-03-16. ^ Correia, Susana (February 2008). "Paralympics History". Accessible Portugal Online Magazine. Archived from the original on February 6, 2009. ^ "SPSL Archive". Rsl.ox.ac.uk. 1933-12-24. Archived from the original on 2012-08-28. Retrieved 2012-08-17. ^ a b "History of the Paralympic Movement". Canadian Paralympic Committee. Archived from the original on August 2, 2009. Retrieved 2010-04-07. ^ "Paralympics traces roots to Second World War". Canadian Broadcasting Centre. 2008-09-05. Archived from the original on 2014-03-19. Retrieved 2010-04-14. ^ a b c d e f "History of the Paralympic Games". Government of Canada. Archived from the original on 2010-03-12. Retrieved 2010-04-07. ^ "Paralympics 2012: London to host 'first truly global Games'". BBC Sport. Archived from the original on 2012-08-18. Retrieved 1 August 2012. ^ a b "IOC and IPC to partner until 2032". Olympics. Archived from the original on 2018-03-11. Retrieved 10 March 2018. ^ a b "About the IPC". International Paralympic Committee. Archived from the original on 2013-12-24. Retrieved 2010-04-06. ^ "Paralympic Games". International Paralympic Committee. Archived from the original on 2013-09-28. Retrieved 2010-04-07. ^ a b "National Paralympic Committees". International Paralympic Committee. Archived from the original on 2018-12-15. Retrieved 25 December 2018. ^ "International Organisations of Sports for the Disabled". International Paralympic Committee. Archived from the original on 2017-07-11. Retrieved 25 December 2018. ^ "IPC Management team". International Paralympic Committee. Archived from the original on 2018-11-30. Retrieved 25 December 2018. 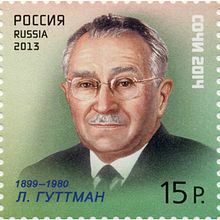 ^ "International Sport Federations". International Paralympic Committee. Archived from the original on 2018-11-30. Retrieved 25 December 2018. ^ "IPC Handbook". International Paralympic Committee. Archived from the original on 2010-04-21. Retrieved 2010-04-29. ^ "History of the Movement". International Paralympic Committee. Archived from the original on 2014-01-03. Retrieved 2012-05-04. ^ "Paralympic Symbol & Motto". International Paralympic Committee. Archived from the original on 2009-10-06. Retrieved 2010-04-07. ^ "IPC Intellectual Property Rights" (PDF). International Paralympic Committee. Archived from the original (PDF) on June 19, 2010. Retrieved 2010-05-03. ^ "The Modern Olympic Games" (PDF). International Olympic Committee. p. 5. Archived (PDF) from the original on 2015-04-15. ^ "Paralympic opening ceremony to be 'family friendly'". The Vancouver Sun. Canwest News Service. 2010-03-12. Archived from the original on 2010-03-17. Retrieved 2010-05-03. ^ "Ceremony volunteers". Vancouver Organizing Committee for the 2010 Olympic and Paralympic Winter Games. Archived from the original on 2010-05-27. Retrieved 2010-05-04. ^ "IPC-IOC Cooperation". International Paralympic Committee. Archived from the original on 2009-09-08. Retrieved 2010-05-03. ^ "IOC and IPC Extend Co-operation Agreement Until 2020". paralympic.org. 9 May 2012. Archived from the original on 2018-03-10. Retrieved 9 March 2018. ^ "The Olympic Charter" (PDF). International Olympic Committee. 2010. p. 11. Archived (PDF) from the original on 2011-05-05. Retrieved 2010-04-29. ^ "Paralympic Vision and Mission" (PDF). International Paralympic Committee. 2003. Archived (PDF) from the original on 2012-06-05. Retrieved 2010-04-29. ^ Gibson, Owen (2010-05-04). "Sainsbury's announces sponsorship of 2012 Paralympics". The Guardian. London. Archived from the original on 2016-12-01. Retrieved 2016-12-12. ^ "Russia's Paralympic breakthrough in Vancouver". Russia Today. March 16, 2010. Archived from the original on 2014-03-17. Retrieved 2014-03-15. ^ "Disabled Athletes Show Up Olympics Team". Moscow Times. March 18, 2010. Archived from the original on 2014-03-11. Retrieved 2014-03-11. ^ "Sochi Paralympics confronts Russia's attitude towards disabled - World - CBC News". CBC News. Archived from the original on 2014-03-11. Retrieved 2014-03-11. ^ a b "Neroli Fairhall, Champion Archer, Dies at 61". The New York Times. NYTimes.com. 2006-06-13. Archived from the original on 2013-05-22. Retrieved 2010-04-07. ^ "World Para Athletics Records". International Paralympic Committee. Archived from the original on 2018-11-29. Retrieved 25 December 2018. ^ Longman, Jere (2007-05-15). 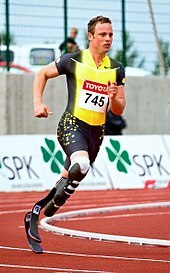 "An Amputee Sprinter: Is He Disabled to Too-Abled". The New York Times. NYTimes.com. Archived from the original on 2009-04-10. Retrieved 2010-04-08. ^ "Biomechanics: Right prosthetic legs have the edge". Nature. 531 (7595): 417. 2016-03-24. doi:10.1038/531417d. ISSN 0028-0836. ^ Schwarz, Alan (2008-09-05). "Paralympic Athletes Add Equality to Their Goals". The New York Times. NYTimes.com. Archived from the original on 2011-03-31. Retrieved 2010-04-08. ^ Gibson, Owen. "Paralympics reignite the Olympic buzz but with added twists". The Guardian. Archived from the original on 2014-03-15. Retrieved 31 August 2012. ^ a b Sweney, Mark (2010-03-12). "BBC criticised for scant coverage of Winter Paralympics". The Guardian. London: Guardian News and Media Limited. Archived from the original on 2014-02-28. Retrieved 2010-04-30. ^ "Unprecedented Rolling Coverage for London 2012 | IPC". Paralympic.org. Archived from the original on 2012-05-30. Retrieved 2012-07-08. ^ "Ad of the Day: Paralympic Games Forget the Olympics. This is the summer's most stunning sports commercial". Adweek. Archived from the original on 2012-08-10. Retrieved 11 August 2012. ^ Usborne, Simon (2012-07-19). "Paralympics: Channel 4's superhuman effort". London: The Independent. Archived from the original on 2012-08-22. Retrieved 11 August 2012. ^ "Channel 4 secures 2014 and 2016 Paralympic Games rights" (Press release). International Paralympic Committee. 8 February 2013. Archived from the original on 2013-02-11. Retrieved 8 February 2013. ^ Davies, Gareth A (2012-08-24). "Paralympics 2012: NBC to only screen five-and-a-half hours retrospective coverage of Games". London: The Telegraph. Archived from the original on 2012-08-25. Retrieved 24 August 2012. ^ "NBC criticised Paralympics after opening ceremony blackout". London: The Telegraph. 2012-08-30. Archived from the original on 2012-09-10. Retrieved 10 September 2012. ^ "American broadcaster NBC could lose right to show Games after criticisms". Metro. Archived from the original on 2013-12-02. Retrieved 10 September 2012. ^ "Paralympic Movement given huge boost as American channels NBC and NBCSN will cover next two Games". The Daily Telegraph. Archived from the original on 2014-03-10. Retrieved 10 February 2014. ^ a b c "Layman's Guide to Paralympic Classification" (PDF). International Paralympic Committee. Archived (PDF) from the original on 2018-03-09. Retrieved 25 December 2018. ^ "Paralympics 2012: The able-bodied athletes at the Games". BBC News. 31 August 2012. Archived from the original on 2012-08-31. Retrieved 31 August 2012. ^ "Athlete Classification". Australian Paralympic Committee. Archived from the original on 2010-02-17. Retrieved 2010-04-14. ^ a b "The history of classification" (PDF). International Paralympic Committee. Archived from the original on 2012-05-26. Retrieved 2010-04-30. ^ "Goalball". International Paralympic Committee. Archived from the original on 2009-10-24. Retrieved 2010-04-08. ^ "Athletics". Australian Paralympic Committee. Archived from the original on 2010-01-18. Retrieved 2010-04-07. ^ "Wheelchair Rugby". International Paralympic Committee. Archived from the original on 2010-06-19. Retrieved 2010-04-08. ^ "Organization". International Paralympic Committee. Archived from the original on 2010-04-21. Retrieved 2010-04-14. ^ "Sport". International Paralympic Committee. Archived from the original on 2010-03-05. Retrieved 2010-04-14. ^ a b c Slot, Owen (2001-02-03). "Cheating shame of Paralympics". The Daily Telegraph. London: Telegraph Media Group. Archived from the original on 2011-12-22. Retrieved 2010-04-07. ^ "IPC Calls For Full Investigation". International Paralympic Committee. 2000-11-27. Archived from the original on 2006-01-18. Retrieved 2010-04-07. ^ "IPC Suspends INAS-FID from Membership". International Paralympic Committee. 2001-03-09. Archived from the original on 2004-12-24. Retrieved 2010-04-07. ^ a b Grey-Thompson, Tanni (2008-09-11). "Cheating does happen in the Paralympics". The Daily Telegraph. London: Telegraph Media Group. Archived from the original on 2012-08-28. Retrieved 2010-04-07. ^ Van de Vliet, Peter (2009-12-15). "Re-Inclusion of Athletes with Intellectual Impairment in Paralympic Sports" (PDF). International Paralympic Committee. Archived from the original (PDF) on June 5, 2011. Retrieved 2010-04-07. ^ "Paralympians can do the same thing as Olympic athletes-including cheating". Sports Illustrated. CNNSI.com. 2002-03-06. Archived from the original on 2008-08-28. Retrieved 2010-04-07. ^ Maffly, Bryan (2002-03-13). "Skier Fails Drug Test". Salt Lake 2002 Paralympics. Archived from the original on 2010-06-05. Retrieved 2010-04-07. ^ Davies, Gareth (2010-03-21). "Winter Paralympics 2010: Wheelchair curler's positive drug test mars closing ceremony". The Telegraph. London: Telegraph Media Group Limited. Archived from the original on 2012-08-28. Retrieved 2010-05-03. ^ Little, Lyndon (2010-03-19). "Swedish wheelchair curler suspended for use of an illegal drug". The Vancouver Sun. Canwest Publishing Inc. Archived from the original on 2010-04-24. Retrieved 2010-05-03. ^ "Feel-bad story of the day: Paralympians appear to be cheating". The National Post. Agence France-Presse. 2010-03-17. Archived from the original on 2018-12-25. Retrieved 2018-12-25. ^ Wolbring, G. (2008). Oscar Pistorius and the future nature of Olympic, Paralympic and other sports. SCRIPT-ed, 5(1). doi:10.2966/scrip.050108.139. ^ World Anti Doping Agency. (October 2009). Gene Doping. In World Anti-Doping Agency. Retrieved April 11, 2012, from "Archived copy". Archived from the original on 2009-11-21. Retrieved 2013-09-27. CS1 maint: Archived copy as title (link). ^ a b "The IPC suspends the Russian Paralympic Committee with immediate effect". .paralympic.org. August 7, 2016. Archived from the original on 2017-12-07. Retrieved November 27, 2017. ^ "The IPC decision on the membership status of the Russian Paralympic Committee". .paralympic.org. August 7, 2016. Archived from the original on 2017-08-28. Retrieved November 27, 2017. ^ "Trischa Zorn-Hudson" (PDF). USA Swimming. Archived (PDF) from the original on 2010-06-19. Retrieved 2010-04-08. ^ "Trischa Zorn". CNN. CNN.com. Archived from the original on 2012-10-23. Retrieved 2010-04-08. ^ "2002 Winter Paralympics". Disabled Sports USA. Archived from the original on April 27, 2003. Retrieved 2010-04-19. ^ "Paralympic Games - Summer". International Paralympic Committee. Archived from the original on 2014-03-15. Retrieved 2014-03-15. ^ "Paralympic Games - Winter". International Paralympic Committee. Archived from the original on 2014-03-15. Retrieved 2014-03-15. ^ "Madrid 1992 – the Paralympic Games that time forgot! | paralympicanorak". Paralympicanorak.wordpress.com. 2012-06-25. Archived from the original on 2013-06-15. Retrieved 2012-10-13. DePauw, Karen P.; Gavron, Susan J. (2005). Disability Sport. Champaign, United States: Human Kinetics. ISBN 978-0-7360-4638-1. Retrieved 2010-04-29. Galligan, Frank (2000). Advanced PE for Edexcel. Oxford, United Kingdom: Heinemann Educational Publishers. ISBN 978-0-435-50643-8. Retrieved 2010-04-29. Goggin, Gerard; Newell, Christopher (2003). Digital disability: the social construction of disability in new media. Oxford, United Kingdom: Rowman & Littlefield Publishers. ISBN 978-0-7425-1844-5. Retrieved 2010-05-03.